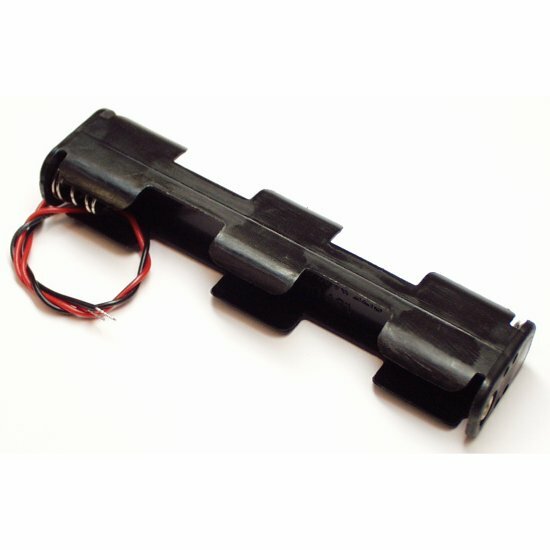 Simple 4 cell AA battery holder with 5" tinned leads, rectangle configuration. It is very tight indeed. And 6v is not enough to run a 5v regulator btw, that was a bummer... Still open for ideas though. It depends on what regulator you use. Many 5v regulators will accept 5.5v input. This battery pack is pretty horrible. The springs on the two I used pushed the plastic apart such that the batteries no longer touched each other after a few weeks.